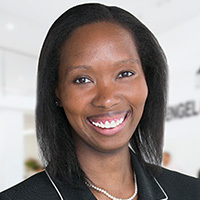 Nikki Beauchamp joined Engel & Völkers in 2014 shortly after the company opened. Her focus is on the sales and leasing of condominiums, cooperatives and townhouses in the Manhattan and Brooklyn markets. Nikki is an active member of the Real Estate Board of New York (REBNY) and serves on several of its committees. She also serves in several leadership roles with FIABCI and FIABCI-USA NY Northeast Council as its 2016 President. Nikki is often quoted or appears in The New York Times and The Real Deal, and has been named on several industry leadership lists including Inman News annual list of influential real estate leaders & the Swanepoel Power 200 Social Influencers lists. She has been an on-going contributing writer for Inman News and featured speaker at Inman Connect, New York.